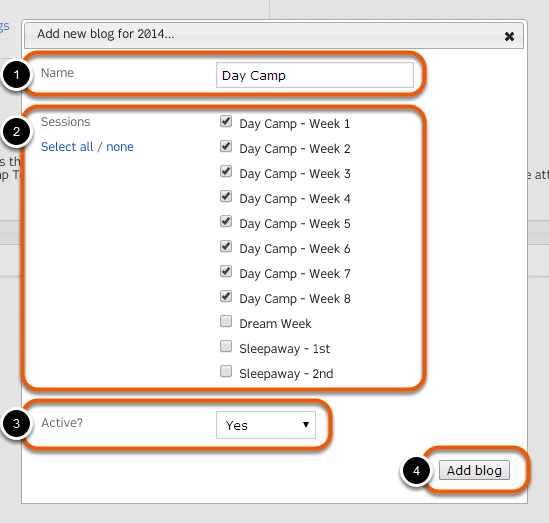 A blog is a collection of posts that represent one or more sessions of camp. To create a blog, click "+Add blog..."
The new blog will be added. Click to access the blog and create new posts. Double-click to delete the blog. Blogs may not be deleted if they contain one or more posts. Within a blog, you'll be able to add photo, video, or text posts.